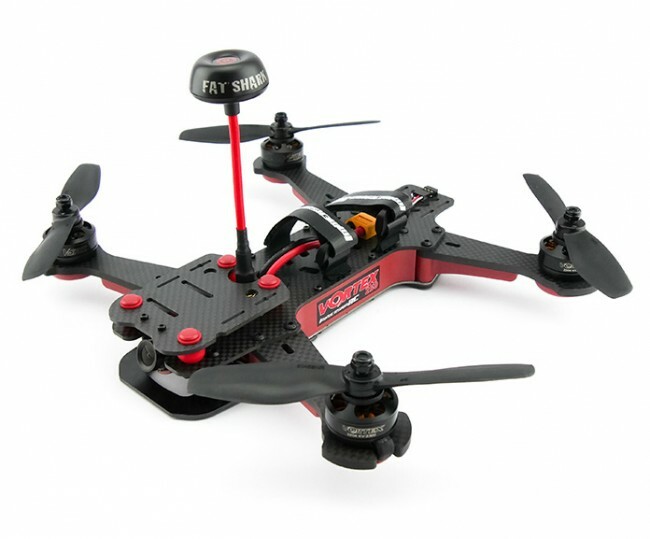 Building off of the success of the Vortex 285, and listening to the dreams and wishes of our customers, the ImmersionRC team designed the Vortex 250 Pro, a purebred racer which ticks all of the boxes. We swapped out the ‘F1’ processor for the ‘F3’, added an integrated Black Box recorder, swapped out the 1806 motors for potent 2204/2300kV custom motors, Gen2 20A ESCs, Serial receiver support… the list is long and colorful. As with the Vortex 285, the 250 is ARF, just add a compatible R/C Rx (CPPM, Spektrum, S-Bus, XBus, EzUHF, etc. etc. ), and a battery, and go race, everything else is included, from the SpiroNET Tx antenna, to the props.